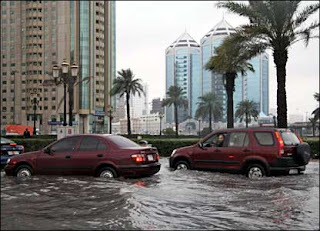 But this brings up a good point - Dubai is at the forefront of urban planning for global warming. The forward-thinking folks in Emaar Properties have created the perfect hedge against the coming floods - the tallest building in the world! An ark might be a better investment, don't you think?